In the last issue of Archiv f? ?r Molluskenkunde appeared two papers describing new fossil land shells, respectively from Brazil and Argentina. The first paper is from Salvador & Simone, dealing with fossils from the Itaborai Basin. The abstract reads as follows. Brasilennea is an endemic genus of the Itaborai Basin, recently showed to belong to the family Cerionidae. The new species, B. guttula is the third species discovered from this locality and points to a far more southern distribution range of this family during the Paleocene. The other new species described is Eoborus rotundus, which is the second species of this known from Itaborai and the third species of the genus. The second paper is by Rodriguez et al. 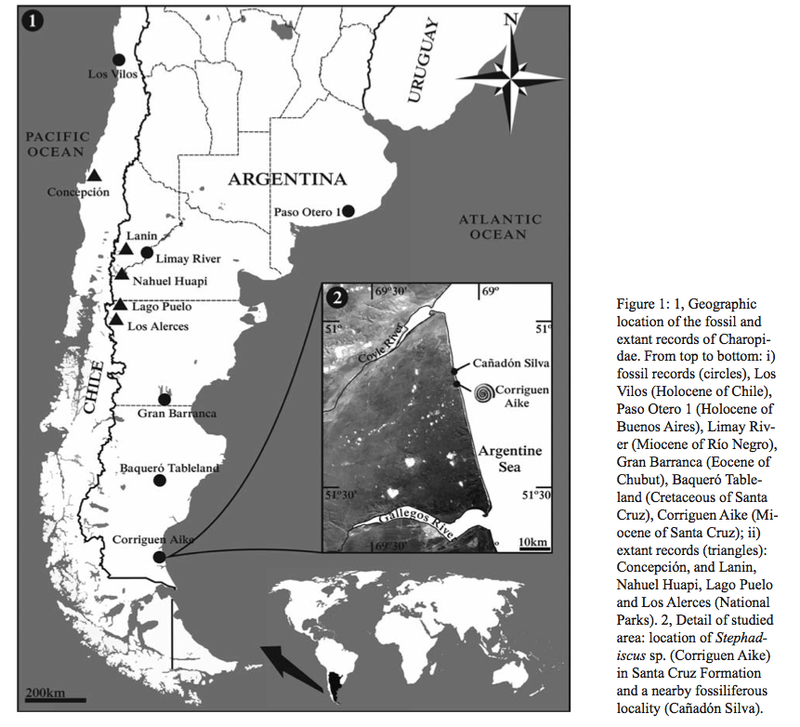 and reports a fossil belonging to the family Charopidae from Patagonia. Rodriguez, P.E, Miquel, S.E., Tauber, A.A. & Krapovicas, J.M., 2012. 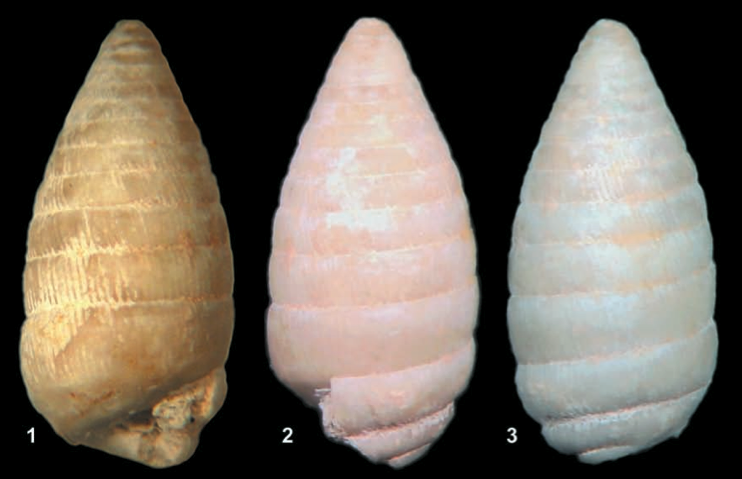 First record of land gastropods of the family Charopidae in the Early to Middle Miocene from Santa Cruz Province, Southern Patalogonia, Argentina. (Gastropoda: Pulmonata: Stylommatophora: Charopidae). – Archiv f? ?r Molluskenkunde 141: 57-66. Salvador, R.B. & Simone L.R.L., 2012. New fossil pulmonate snails from the Paleocene of Itabora?? Basin, Brazil. (Pulmonata: Cerionidae, Strophocheilidae, Orthalicidae). – Archiv f? ?r Molluskenkunde 141: 43-50. This entry was posted in Uncategorized and tagged argentina, brazil, cerionidae, fossil, literature, strophocheilidae on July 1, 2012 by bramb.